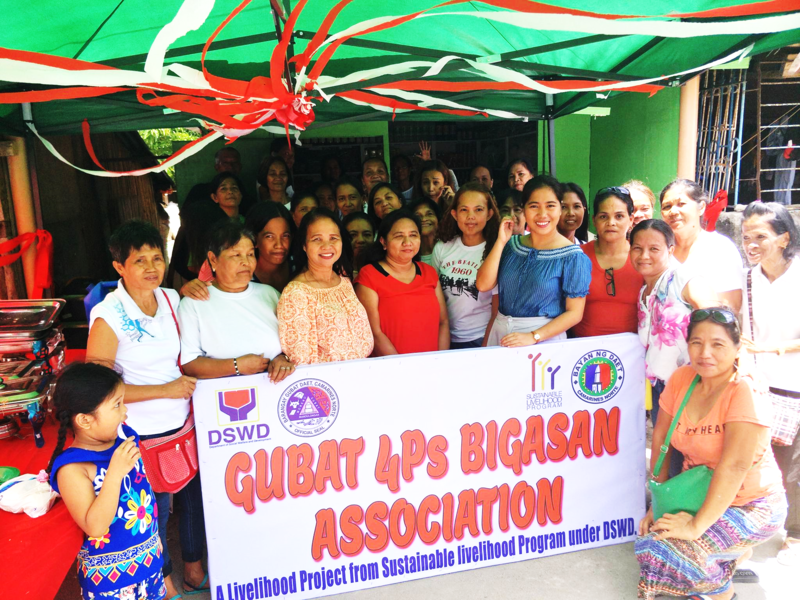 The Department of Social Welfare and Development (DSWD) through the Sustainable Livelihood Program (SLP) officially opens the Gubat Pantawid Pamilya Pilipino Program (4Ps) Bigasan Association, last June 03, 2018 at Brgy. Gubat, Daet, Camarines Norte. The activity was graced and attended by Rev. Fr. Edgar Cerilo Eboña, program participants, DSWD staff and followed by a ribbon-cutting ceremony that marked the official opening of the business. The project was under Microenterprise Development-Seed Capital Fund (MD-SCF). A total of Php 420,000.00 was allocated for the said project covers the cost per participants amounting to Php 10,000.00. MD Track focuses on starting, expanding or rehabilitating micro-enterprises, activities. This track includes entrepreneurship, technical – vocational and soft skills training. Since their barangay has a big number of population and rice is one of the basic commodities the Gubat 4P’s Bigasan Association decided to build their own business wherein its residents are forecasted to buy rice in the said store most especially the 4P’s families receiving rice subsidy. On the other hand, DSWD/Barangay Local Government Unit (BLGU) /Local Government Unit (LGU) assisted the participants in the registration, other pertinent licenses such as barangay, mayor’s and retailer permit necessary for their microenterprise to officially and legally recognize the operations of the microenterprise. And, through the guidance of the DSWD, Gubat 4Ps Bigasan Association also received their certificate of accreditation as beneficiary Civil Society Organization. “Sisiguraduhin po naming na ito ay lalago at naway magkaroon pa kami ng ibang branch dito sa Daet. Napakalaking tulong nito sa amin at sa aming mga pamilya, gagawin po namin ang lahat para mapalago ang proyekto na ito.”, she added. (We will make sure that this project will prosper and we hope to open up other branches here in Daet. This is a big help for us and for our family and we will do everything for the success of this project).